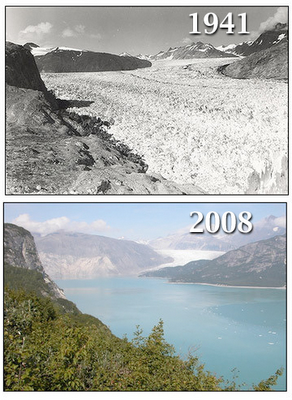 Eustatic sea-level rise is the world-wide changes in sea level over decades to centuries. 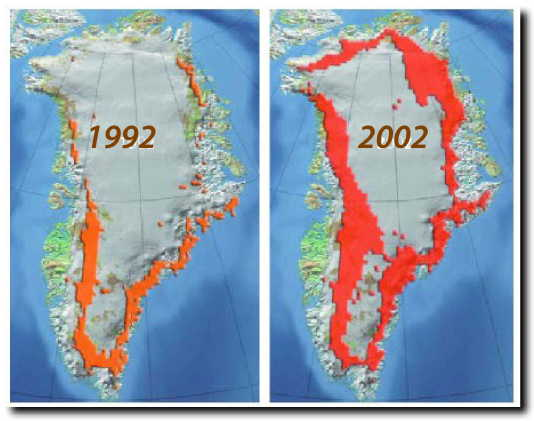 The change of the sea-level occurs everywhere throughout the world, due not to a movement of the land but to an actual fall or rise of the ocean itself. 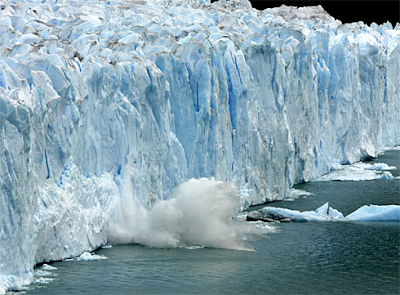 Eustatic sea-level rise is the world-wide changes in sea level caused by the addition of water from the melting of glacial ice and/or the thermal expansion of sea water due to global warming. 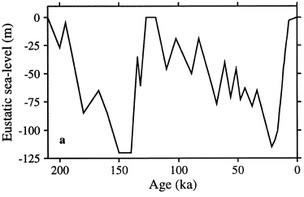 The graph illustrates the sea-level curve in last 210 million years, with the high levels representing marine transgressions and the low levels representing marine regressions.